A mystical bond links a man, woman, and child, blurring the boundaries between right and wrong, in this novel about abortion and faith in contemporary middle America. I'm the novel's author and very excited about reading the journal entries of everyone who delves into Waiting for the World to End. This copy is traveling to FransG in The Netherlands! Thank you so much for your interest, Frans, and I look forward to hearing your thoughts about Waiting for the World to End. Yesterday on the train I dutifully opened the book to read at least some of it and before I knew it I was enveloped in the book wishing the trip would take longer, providing me with more time to read!! From reading the description I had been expecting a social-ideas novel where the text would serve mainly to introduce moral issues and induce tolerance and optimism in the world. But it's fun reading this book, like it was reading John Updike's novels. True, it's about love and relationships between well mannered well-to-do US American people, but the people really come alive in the beautiful text. Like Rabbit in Updike's masterpiece series. I told my girl friend Gerry about the book's story and it reminded her of one of her own favorites, Joanna Trollope's "The Choir". I finished the book today, 22 dec 2004. I took it with me on the bus into town to do some shopping. I read on the bus, in a small Turkish cafetaria where I ate a dish, in the tiny old art deco bar where I drank a cappuccino. And the last pages at home. I won't give away the plot for readers to come, even though the book is just as beautiful without the suspense of the way it ends. It leaves me in admiration of the author, and I feel a sadness, or maybe I should say melancholy, as the book makes me ponder chances missed in our lives and loves. I will pass on the book to my friend Gerry who will hopefully release the book soon! 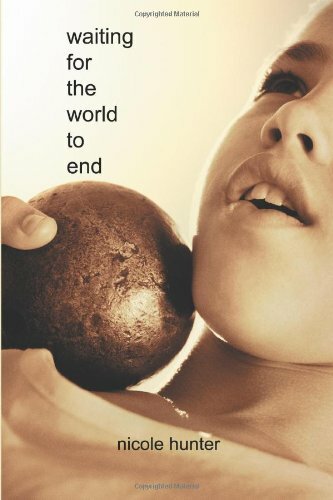 I enjoyed reading ‘Waiting for the World to End…’ very much, as you can easily identify with the characters. The plot is surpising with some unexpected and even dramatic turns. It’s a real page-turner! Still, reading the book made me sometimes sad as it made me aware of how many chances you get in your life and how few you actually take. So, it’s fun to read, but also a book you do not easily forget afterwards. And that’s a huge compliment for the writer! Since FransG can always be trusted to hand out little gems at meetups, I consider myself lucky to take this one away from the meetup today. After reading the journals, -registered by the writer herself!- I am getting even more curious, wondering how I will experience reading this book. Wondering how it will make me think about my own life, about my habit not to turn down an opportunity when it presents itself at my doorstep. At least, that is my perception. I read this pageturner in just a few days. I even continued reading while riding on my bike! But this Tom, and Mary, they irritated me no end. I kept hoping they would get on with it and finally fall into eachother's arms. I believe there is no real valid reason to turn away from happiness if it presents itself on your doorstep. Anything short from that choice is just a cowardly escape. They must have been scared, is what I think. Still, a very good read. I will take this book with me to the next meetup. i picked up the book from a bookcrosser in deventer and finished it fairly quickly. quite overwhelmed by the sadness, and the impossibility of it all. I will take this book with me to our meetup next Sunday, to find a special new reader for it.